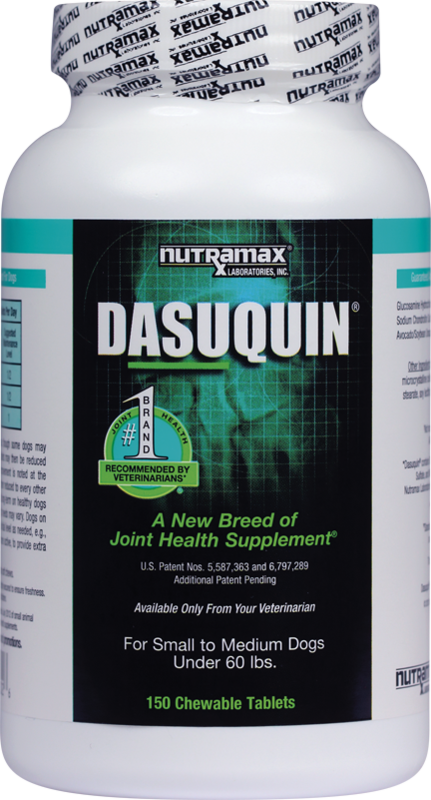 Dasuquin, a cost-effective formulation for dogs, available only through your veterinarian, is a dual synergistic formula: its specific glucosamine hydrochloride and low molecular weight chondroitin sulfate have demonstrated synergy in stimulating cartilage production. 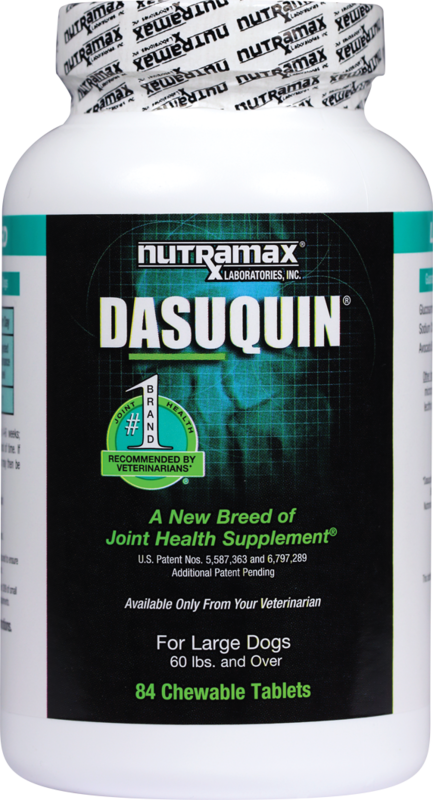 Dasuquin for Large Dogs (60 lbs and over): Glucosamine Hydrochloride (900mg), Sodium Chondroitin Sulfate (350mg), Avocado/Soybean Unsaponifiables (ASU) Powder (90mg). Also contains natural liver flavor, dextrose, dried brewers yeast, microcrystalline cellulose, gum resin, soy protein isolate, tea, magnesium stearate, mixed tocopherols, natural and artificial flavoring, and silicon dioxide. 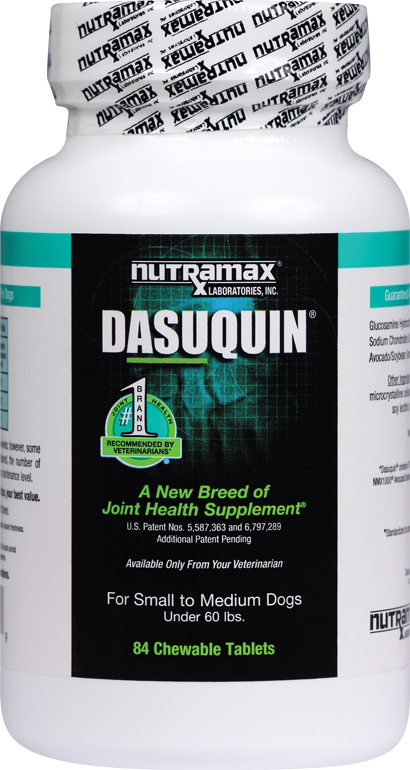 Dasuqin for Large Dogs (60 lbs and over): For the initial 4 to 6 week administration period give 2 chewable tablets daily. The suggested maintenance level is to give 1 chewable tablet daily. Dasuquin chewable tablets can be given as a treat or crumbled and mixed with food.